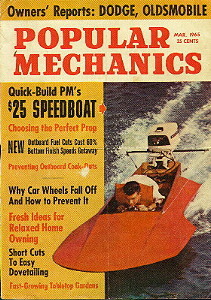 Attached are a few photos of a Hydro I built from old Popular Mechanics plans. I believe it was called the "Saucy Shingle". I see you are selling the plans as the Tiny Titan and I suspect they are considerably better than the originals. Anyway, enjoy the pic's and if you want more info give a shout! Note: The Tiny Titan was designed by Glen-L and featured in Popular Mechanics. The magazine changed the name to Saucy Shingle and included drawings with dimensions. 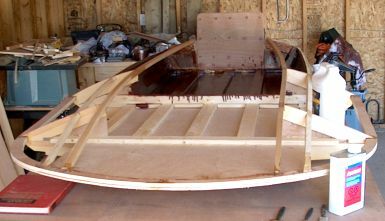 The Glen-L plans include full size patterns and instructions.